This system maintains fleet vehicle batteries and prevents sulfation when they sit idle. It will replace self-discharge as well as clock-radio, keyless lock, and other continuous power drains on the battery. 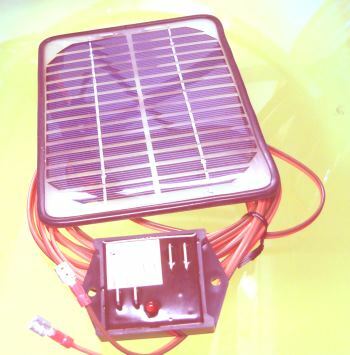 The solar battery keeper can be roof or dashboard-mounted and is available in 2 watts and 5 watts. Higher wattage systems are available on request. This PowerStream-designed circuit uses energy harvesting techniques, so it can continue to charge the battery even under low light conditions. Ordinary solar panels without energy harvesting can only charge the battery when the solar illumination is intense enough to keep the panel above 13 volts. This makes the smaller 2 watt panel equivalent to a much bigger panel. It also prevents the battery from being over-charged. Thousands of these 2-watt systems are being used in federal government installations to keep vehicles that are held in reserve ready for service without having to have someone start and idle them on a regular basis. This results in enough savings to result in a 6 month payback time. Pulsed charging algorithm can dissolve sulfates. LED flashes to show operation. Can extract useful power from the solar panel even at low sun angles. 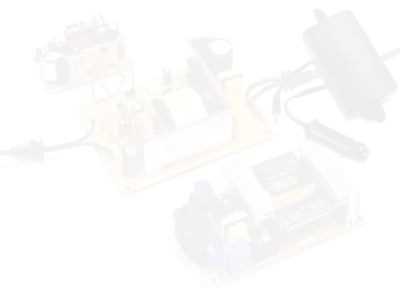 Can be used for lead acid batteries between 6 and 28 volts, including 6V, 8V, 12V, 16V, 18V, 24V and 28V battery systems. Suitable for cars, buses, airplanes, motorcycles, boats, tractors, sail boats, motor homes and ATVs. 100% made in the USA, which makes export to Canada and Mexico easy. PST-SC02 Includes a wire harness and SC-Module. PST-SC05 Includes a wire harness and SC-Module. Red LED shows operation, will flash at low rate at low insolation. It is not really realistic to expect a 2 watt (or 5 watt) solar panel to do much charging of a big battery that has been discharged, but it will keep a charged battery topped-off and keep it from getting sulfated.